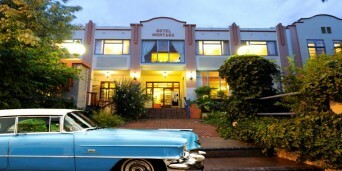 Montagu is as noteworthy for its architecture as it is for its sweet Muscatel wines and its hot springs. In Long Street alone visitors will find 14 national monuments (two of which are now museums), making it “from an architectural point of view“ one of the most significant streets in South Africa. Either enjoy a romantic stroll through town, where the beautiful old Cape Dutch and Gregorian buildings create the perfect setting or try the slightly more taxing “Lovers Walk” at the Badkloof mineral baths. 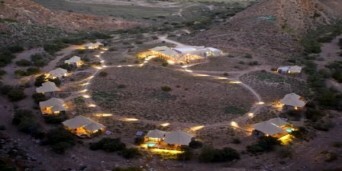 Those interested in the flora of the area can also visit the Nature Garden or alternatively brave one of the several hiking trails that take you to and through the breathtaking Cogmanskloof. 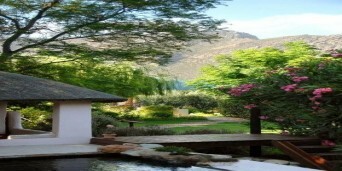 Discover South Africa will find the best Montagu accommodation for you, so that you can unwind and relax on your vacation. Surrounded by the Langeberg mountain range Montagu is a town noteworthy for its beautiful architecture, gorgeous views and its hot mineral springs, being only 200 km from Cape Town this picturesque town will captivate you. Located on Route 62, Montagu is filled with Cape-Dutch and Georgian architecture even some homes have been preserved from the ox-wagon days so take a stroll through the town, pop into the Joubert House Museum -the oldest local dwelling from the late 19th century then stop for lunch at one of the delightful restaurants or coffee shops such as 'The Orchard' which also has lovely gifts for sale. 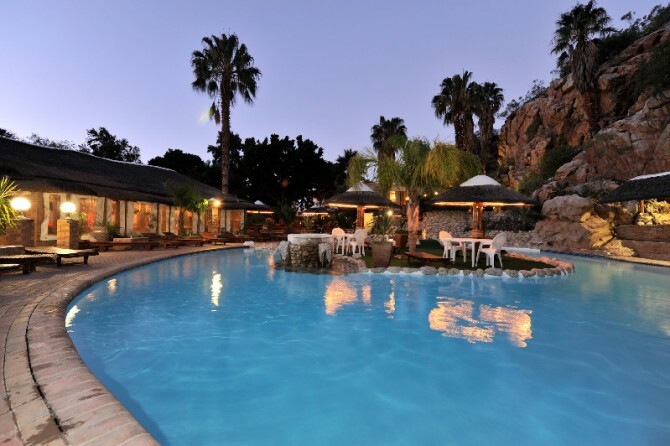 You won't be disappointed by the accommodation Montagu offers to travelers, especially when there are plenty things to do and see. Route 62 Wine Tours offers you the opportunity to blend, bottle and label your own wine then there are over 45 different wine cellars to go for tastings and enjoy a superb glass of wine before returning to your Montagu accommodation. While you're staying in Montagu take a tractor trip in the mountains, maybe a boat cruise on the Breede River or if you're more of an adrenaline junkie do some Rock climbing in some of the best Rock-climbing terrain. Explore the Guano Caves where not only bats once lived - artifacts from 20 000 to 50 000 years ago have been found. Visit the Village Market on a Saturday morning and try some of the local cheeses, organic goods, buy some beautiful crafts then walk over to Ednas homemade goods stall and let your mouth water as biscuits, jams, pies, buns and fresh stone-ground bread all tantalize your taste buds. Do a day trip to Avalon Springs and enjoy the many pools, picnic spots and of course the healing hot springs. 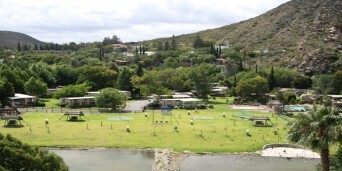 This town has so many things to do and explore why not get some accommodation in Montagu and discover it for yourself.